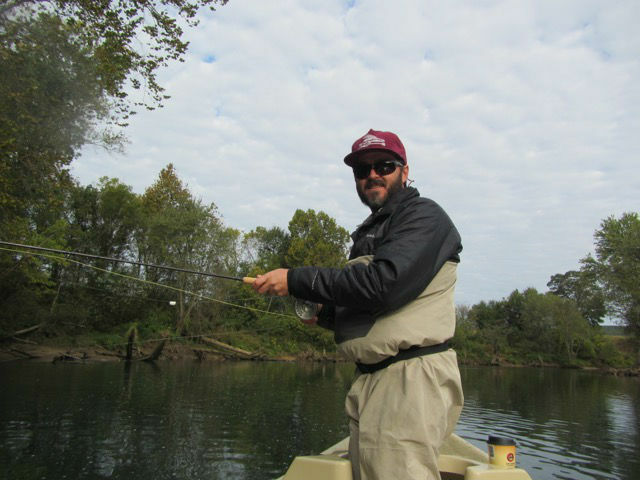 Some people are just “Fishy,” and Todd from Denver, Co., is one “Fishy Dude!” We had the pleasure of taking him fly fishing last weekend on the Little Red River. 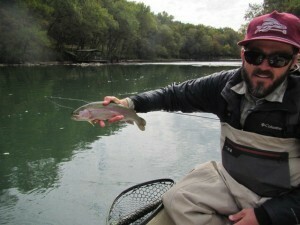 Todd has traveled a bunch and fished a lot of water particularly out west where in Montana he worked one summer in a fly shop. 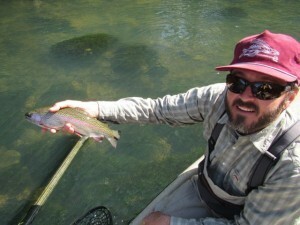 He is not just an excellent fly caster; he is an all around excellent fly fisher. He can drift a fly as well as anyone we have seen in a long time, he reads the water well and can see fish like an eagle. 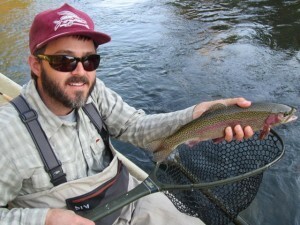 Now that we have given Todd the big head, let’s talk about the fly fishing. 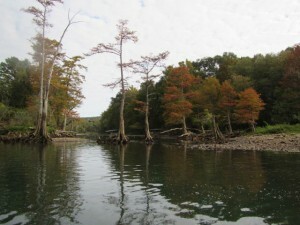 As you can see from the photos, the Little Red River is absolutely beautiful right now and the trees are just beginning to show a hint of fall colors and our water is cold and clear. 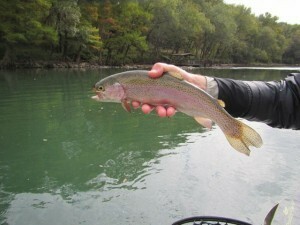 It is shaping up to be a great fall fishing season. We enjoyed wonderful weather all weekend. On Sunday we took the drift boat way down river and did a short four mile float but we really worked the water slowly and fished it hard.